You are about to experience an alluring taste of the finest French Dessert, Mille Crepe is a French cake madeof many crepe layers. Mille (“mil”) means ” a thousand”, implying the many layers of crepe. 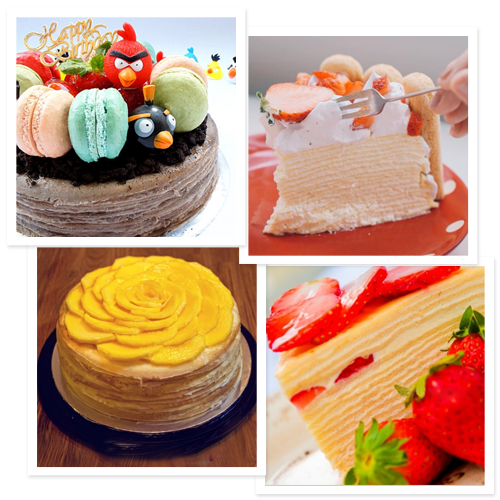 De Crepe Patisserie prides itself on creating the freshest and finest Mille Crepe cakes. Our Mille Crepe cakes are hand-made following recipes at have been refined over the years to provide the highest quality in taste and appearance.